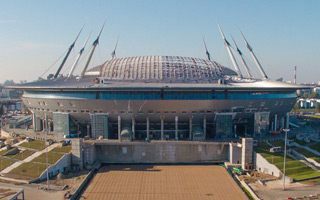 Saint Petersburg: Zenit Arena construction abandoned! It’s been the hottest subject of Russia’s 2018 World Cup preparations over the last few days, culminating in a serious conflict between the investor and general contractor throughout Tuesday. As a result there was even speculation that Saint Petersburg might lose the hosting rights for 2017 Confederations Cup or even the World Cup itself. Of course none of this is close to happening, but the tension is high. Why? On July 15 the Saint Petersburg regional government unilaterally terminated Transstroi’s contract to deliver Zenit Arena. Transstroi’s history on the site is infamous, but it seemed that the company would finish what was started back in 2006. The stadium is now officially 85% ready and was about to be handed over by year end. Now, 10 days after the contract termination, the decision is in force and Transstroi is legally no longer the contractor. Company officials announced they would halt all works on site for 30 days, pending further developments. But it should be noted that Transstroi sees the contract termination as unlawful and is appealing against it. From today onwards no work was to be delivered on site until late August. And yet many subcontractors ignored the orders from Transstroi, getting back to work. They have a strong motivation to disobey their official employer, because many of them are yet to be paid and Saint Petersburg authorities urged them to continue working, promising contract prolongation for best of the current subcontractors. This of course outraged Transstroi and the company intervened against those working on site with the prosecutor’s office. While a lot will surely happen in upcoming days, the lingering question remains: when will the outrageously delayed stadium, already 7 years behind schedule, finally be complete? Municipal authorities assure that the late-2016 deadline is safe. New construction tender should be announced in mid-August and within just two weeks (!) new contractor is to be selected. So far Zenit Aren’a construction consumed over RUB 24.5 billion (currently $370m), while around 11 billion ($170m) more is to be spent. In reality though the final bill for Russia’s most expensive stadium will not be known too soon, because the project will be subject to court battles yet to come.